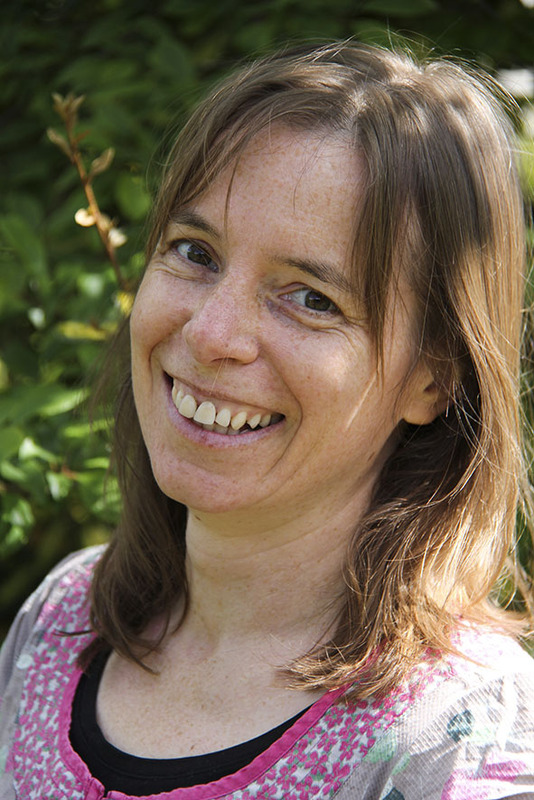 Kate Woods: Birth Doula Guide (Available for other U.K and International locations via Skype). Conscious Birthing Community 'Mother', Doula and Course facilitator, Debriefing supporter. Kate Woods offers a traditional Birth Companion service, founded on 22 years experience, and she still views mothers and new families as her ultimate teachers. Kate's keen interest in childbirth around the world has lead her to learning from traditional midwives in various countries, alongside working with the modern day practices and protocols within each community. Supporting and encouraging all back into our inherent ability to give birth remains Kate's focus, and building bridges between traditional care, intuitive values and current day modalities is her greatset passion. That passion now extends to the training, support and ongoing Guidance of the next generations of Doulas, and Kate has 10 years experience of mentoring. Offering a debriefing service for previously traumatic birth stories as well as for birthworkers is an integral part of Kate's work, and she has supported many women, men, doulas, doctors and midwives back to a place of trust in normal birth. Cassandra Rosa West: Birth and Postnatal Doula Guide (Available for other U.K and International locations via Skype). Birth and Postnatal Doula, International Birth Supporter, Massage and Naturopathic therapist, occasional course facilitation assistant. Altai Masseuse, Creative Expressive Facilitator and Naturopathic Therapist, Cassandra integrates a range of approaches into her Doula work. She has experience of home, birth centre and hospital birth support within the UK. She is also involved with maternity improvement initiatives in Central America and has worked on a number of labour wards across Honduras, modelling compassionate care. As a Guide, Cassandra will help you discover what kind of Doula you are and encourage you on a path of self-reflection and development. She will act as a valuable reflective instrument and draw upon her knowledge to intuit pointers and ideas for your unfolding journey. Cassandra offers birth and postnatal Doula guidance. Samsara Tanner: Birth and Postnatal Guide (Available for other U.K and International locations via Skype). Birth and Postnatal Doula, Doula Course facilitator. Samsara's soul has always been called to Birthing. Samsara has been attending births since she was 24, soon after her own glorious moment of empowerment when birthing her firstborn son. Each of her 4 births were attended by wonderful birth doulas. Trained in Intuitive Counselling with Scott Washington in 1994 and in Childbirth Education with Parent Centre Australia in 1988, she became very involved with the Australian grass roots home birthing movement. 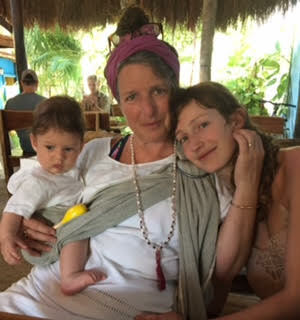 Samsara has been teaching birth preparation classes and attending births for over 26 years now and this rich wealth of experience now joyfully includes having been present for the birth of her first grandson. Her experiences have lead her to the understanding that honouring the mother and baby relationship is what is most needed to support healthy mothers and families. To facilitate this, she created the Mumababy Sanctuary in Lewes, Sussex in 2013, a beautiful centre supporting women and their families with complementary therapies, drop-in support and circles for pregnant and new Muma's, as well as a hub for local doulas. Witnessing and supporting the journey of the mother and family through the full four trimesters of the ‘birthing year’, pregnancy, birth and the first months of mothering is what makes Samsara really excited. It is this role that she calls that of 'Birth-Keeper'. Samsara is now delivering Doula preparation courses for Conscious Birthing International and is excited to be a Guide for new Student Doulas coming through the Courses. She is also involved in running workshops for Mothers and Daughters 'Coming of age' programmes, exploring the path of Conscious Menopause, and that of the role of Grand-Mothering. Daisy Dinwoodie: Birth Doula Guide (Available for other U.K and International locations via Skype). Daisy was unexpectedly and happily pulled to support birth during her training as a birth educator. She has supported and witnessed many births in and around Edinburgh since 2007, in hospitals, homes and birth centres. She enjoys advocating with and for families, and on behalf of future women, through working with the services in the local MSLC and helping women know of their rights. 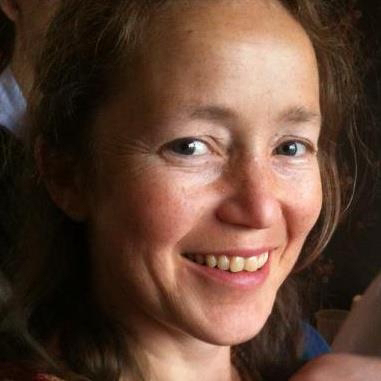 She facilitates a monthly Homebirth Support Group in Edinburgh since 2006, also teaches pregnancy yoga classes (with lots of tea, biscuits and chat) and Active Birth workshops for couples. Daisy is passionate about singing and connecting with women through song and she hosts Woman Song, a monthly circle for women. Daisy feels strongly that women know their truth, and that all they need is support and information to be able to make the decisions that are right for them and their families. She uses Talking Mats in her work with couples to help them to find and express their views around their birth and to debrief afterwards. She was so beautifully mentored and helped to discover her own truth, values and confidence as she became a doula. She wants to help other doulas find themselves and their true value in this work. Fiona Reilly: Postnatal Doula Guide (Available for other U.K and International locations via Skype). Fiona is passionate about empowering women and families to choose what feels right for them around birth and parenthood. She has worked as a birth and postnatal doula since 2011. She is committed to supporting people in the choices that are right for them and helping them work through fears or experiences that need resolving. Fiona has a psychology degree, a certificate in counseling skills and is an Openhand facilitator. She is reflective of her practise and has gained much confidence and knowledge through her life and professional experiences. She values the power of listening to and following our own truth and intuition. We all have our own answers, we just need to look within and one of her aims is to support you in finding your own truth. 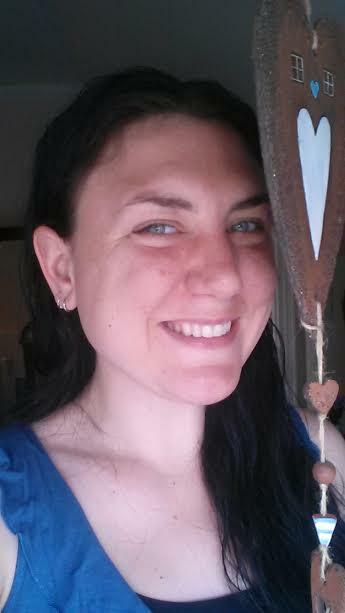 She practices as a one to one active listening therapist, in person or online, and also supports groups. In addition, Fiona enjoys offering maternity reflexology. She is truly excited about offering support to new doulas, as she recognizes the immense value of sharing and exchanging support with others. The encouragement and guiding hands of her mentor and fellow doulas made her steps into doulahood a much smoother and more joyful experience. She continues to offer and receive the support of her fellow doula sisters for which she is immensely grateful and is enthused to offer such support to establishing doulas. Cyd Lee: Birth and Postnatal Doula Guide (Available for other Spanish and International locations via Skype). Cyd’s passion for all things around birth comes from a profound desire and knowing that empowering women through childbirth will lead to major positive changes in our society. Her journey with assisting births began in 1984 when , as a trainee Nursery Nurse, she started her placement in Basingstoke Hospital maternity ward. The experience and practices she witnessed there left a very strong impression, and were later to be the foundation of a powerful desire to help change the way of mainstream birthing and offer women an alternative, more empowering way to birth their babies. She starting assisting friends at their home births during the nineties and eventually birthed her first daughter at home with a community midwife who totally respected all her wishes. The feeling she had after that birth was so amazing, empowering and fulfilling , she wanted every woman to be able to feel it! So began many different trainings, in all sorts of modalities, to build up her knowledge, from aromatherapy to hypnotherapy, shamanic midwifery to Birth trauma recovery. One of those courses was with Kate Woods, Conscious Birthing Doula Training, and this was the one that really sparked the desire to get going in earnest. She had her first client while the training was taking place, which gave a perfect springboard into the world of assisting births as a professional doula. This client later became her backup doula! Over the last five years she has assisted with more than 50 births. Cyd lives on a small island in the Mediterranean , Ibiza. It's a tight community of generally open minded international people, many of whom have escaped the mainstream paradigm and are looking for alternative ways to live their lives , with deeper meaning and integrity. The role of the doula is welcomed here, at home and in the hospitals. Kate's Doula courses have been a huge success and have helped enormously in building up a solid birthing community of practitioners on the island. Cyd is assisting with the Guidance Programme for doulas that have trained with Conscious Birthing and works closely with many of the various pregnancy practitioners on the island. She also facilitates birth preparation classes. Empowering women has become a way of life now, whether it's hosting a red tent Moonlodge, guiding new doulas, or educating mums to be, it is her mission, her purpose and her passion.